Moving to a new home comprise many tasks and worries. We need to plan before, pack the belongings, load the trucks and move. All these tasks and worries will come to end by hiring our professional Removalists Melbourne. Removalists Melbourne can assist you in all your moving needs, right from planning the move, packing to unloading and unpacking all your belongings safely. All you need to do is just book your move with CBD Movers Furniture Removalists Melbourne. Our removalists Melbourne are highly trained for packing and moving any type and size of Home and office furniture. The newly hired members are trained under experienced movers. They are not only trained for moving furniture, they are also trained for discipline, customer handling and value to the belongings. Moving Heavy furniture and loading them in to trucks is a risky and difficult task. Handling heavy Furniture without proper equipment may end up in breaking of the items or injury to you. Our removalists are highly qualified in furniture moving of any size. We use blankets, moving straps, dollies and hand trucks for moving the furniture easily. Removalists Melbourne can assist you in the tons of packing. We provide excellent packing services using high quality packing materials. We carry sufficient packing materials bubble wrap, stretch warp, all sizes of moving boxes, tapes etc. We can pack furniture, kitchen appliances, electronic appliances, clothes and all the belongings. Our team gives more attention while packing fragile items, glassware and antique items. 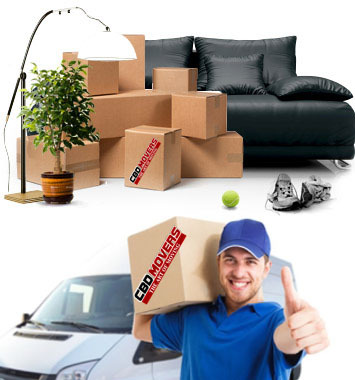 CBD movers, removalists Melbourne provide High quality moving services at affordable prices. We are cheap movers Melbourne also provides special offers and discounts on Sundays & Mondays. We are equipped with high end moving trucks of all sizes. They are clean and well maintained to ensure a smooth move and no truck breakdowns in the middle of the move. The trucks are also equipped with moving tools and packing supplies required for the move. You can choose the van according to the moving needs. We have trucks from 2 Tonne, 3 Tonne, 4.5 Tonne, 6.5 Tonne and 8 Tonne. We provide all types of moving services. We are specialized in House removals, Office removals, Furniture Moving, Ebay deliveries, Pool table moving and piano moving. Either it may be a single furniture removal or complete house removals; an office or a big organization, there is no move that we cannot handle. As a well experienced Removalists Melbourne, we have helped a lot of families and companies to relocate safely to the new place. Our furniture movers are familiar with the moving techniques and procedures to make you move simple and easy. Our main aim is to provide our customers a hassle free move at affordable prices. We offer our furniture removals services in Melbourne, Sydney, Perth, Adelaide and Brisbane and also provide Interstate removals services.